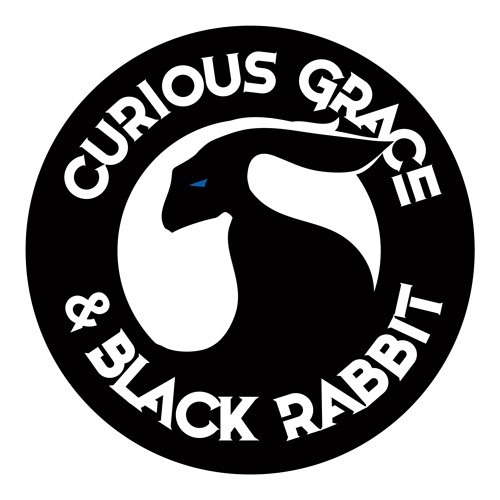 Curious Grace & Black Rabbit is a six-piece indie art rock group featuring the work of husband-wife songwriting duo Tom and Mary Erangey. Curious Grace & Black Rabbit delivers a big sound and an intense live music experience that blends electric strings, flamboyant keys, wailing guitar, groove bass and power vocals. Think Pink Floyd meets Arcade Fire, with a bit of Peter Gabriel, Dream Theater, Muse and David Bowie pumped in. Rebel Noise critic Jordan Blum says CG&BR’s album #worldonfire is an entrancing “tour-de-force from start to finish” and his "superlative musical discovery of 2018." Curious Grace & Black Rabbit is: Galway Tom on bass and vocals, Mod Mary on cello/electric cello and vocals, John 'Hollywood' Hickey on guitar, Macedonian Maestro Bojan Kolevski on keys, Hippie Heidi O'Toole on vocals and Scott 'Aquaman' Way on drums.